In business development, what has happened, will happen. Take note and come up with alternative approaches or responses for next time. It’s coming. The base layer for growth is how you feel about yourself, quickly followed by being prepared and the ability to visualize. If you experienced it once, you will experience it again, soon. Most sales professionals can describe their favorite kind of TV show in more detail than they can describe their favorite customer. That’s easy to change. No matter how elegant the tactic or technique, if it doesn’t feel right to you, it won’t be used. Your best way of completing a task is your best way. Stick with your strengths. Productizing isn’t a word (according to the red squiggle underneath it), but should be. It’s the term I use when describing how service businesses can sell more to existing clients without adding more hours to the day. It’s part of how we justify the investment in high-powered administrative staff. Once a month, over a lunch hour, you can teach your team how to spend 15 minutes a day looking through client logs for low labor, high value interactions that can be productized for other clients. The following story is oversimplified, but it works to get everyone on the same page. The scenario: I want a new car for business and personal use. Before I make that purchase/lease decision, I want to make sure I’m not missing anything with taxes or insurance I should consider as a small business owner. The insurance agent is easy to deal with because they get paid on commission, but I have to do a little head math to justify calling the accountant. I put in a quick call to both parties, get an insurance quote, but the accountant does something different. She does some quick head calculations and says “well, since you’re set up like X and you’ll be using the vehicle for Y, you have these options – YY or ZZ.” Great advice. Between the two calls I have probably saved myself a few headaches and a little money. The calls are short. The insurance agent logs my notes in his system to sell another product someday, and my accountant logs the time for billing. By the time the accounting invoice shows up, the value of the advice given is lost on me. Hmm. $500 for a $6K tool that I can use for a while and share with others? Done. The general idea is that when solutions are presented in a way that builds value, some of your current bill-by-hour conversations can be turned into a product that your clients will benefit from and take little to no time for you beyond setup. 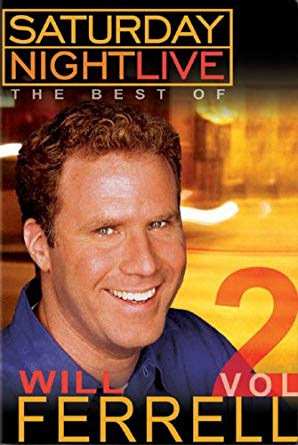 Not unlike SNL repackaging old Will Farrell skits and putting them into a TV special, a DVD, and who knows what else. While you won’t sell as many products as SNL, you’ll get more credit for the real value you provide. The upstairs toilet is leaking. It’s old and the drip is in the bowl, so it’s not causing a problem, but with fewer people in the house, when it gets real quiet, I can hear it. Sometimes. I mention this to my bride and she suggest just getting another toilet. It’s a great idea, but I know it will lead to a full bath remodel, so I play it cool. While watching early morning soccer, I pull up Lowes.com and take a peek at what’s in stock and even pop over to Kohler.com to get a little lesson on how to choose the toilet that’s right for me. The flushing options (very important), the design, the color, the seat, it’s all very informative. An excellent example of content marketing. Then I notice I can spend $8K on a Kohler toilet. I’m sorry, it’s “starting at $8,000.” Now I’m intrigued. Do they have that at my local Lowes? What’s the most expensive toilet I can get there? That’s when I notice the the Toto $4,700 toilet has 3 reviews. Really? I’m clicking. You have to read it for yourself. I can’t see the computer through my tears.